Autumn is about to come to a screeching halt here in the mountains. Tomorrow is predicted to be unseasonably cold with a chance of snow flurries! I'm not ready for a high of 35. Guess it doesn't really matter if I'm prepared or not, it's coming. Our weekend was a great mix of spending time outdoors, as well as, at home. which you'll hear/see more about this week. Today, we stayed within the confines of our home. and the rest of the afternoon was spent cleaning up the dining room & kitchen. Afterwards, we played a game of Scrabble on the table we cleared off while cleaning. I was even able to cook dinner while we were playing our game - Cody helped too. then again, I say that every weekend! I LOVE this photo! The contrast of the practically black and white, faded Queen Anne's lace flower against the amazing yellow, I guess sunny background, is wonderful. This one could sell to stock houses, perhaps. Just wonderful. At least frame a print! Ahh... a glimpse of this tells the season. Love the colors. Very, very nice! :-) I wish it would cool off around here a little bit. The colours are beautiful. so petty. Sounds like you had a great weekend. I can't wait to here more about the balloon fest. Beautiful colors. Sounds like we had similar weekends. I even took a stroll in our back field to find some shots with morning dew and low rising sun. Yours is much better! Have a great Monday. I love the colors in that photo! Our weekend went too fast, too. I do feel like I got some things done. Lovely seed heads. We too are experiencing temps of 35+ but Centigrade. Autumn, Winter and Spring forgot to rain and we are already having searing winds off the desert and no water reserves. Drought kills gardens more permanently than frost. i would love snow, but maybe not THIS early in the season. thank you again for the package of goodies. i posted a thank you blog on my autumnsun08 blog site. 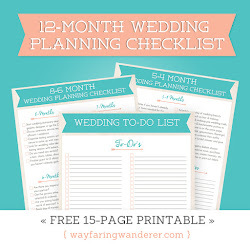 just plan ahead all those photo's of snow. can't get over all the cleaning you are doing let me know what tablets you and Cody are taking had to do all my own cleaning since the being of the year as my cleaner as been ill.she is now on the mend.i told her she can start when she is ready.she had a had time.she lives next door to me.but most of the time she lived with her mother to make sure she rested. jessica tell me something why is it when a women cleans it's spotless when i clean the dust is back soon as i turn around. i do the same thing as my cleaner. but i see the dust just settling everyware.are well back to my art. try again in a weeks time bye. look forward to the snow believe this year in U.S.A lots of snow.stock up with food and a sun lamp. if we don't hear from you over the next few days see you in the spring.?????? weekend bliss. taking it easy with a nice mix of accomplishment. cleaning...instant gratification. once again, a beautiful soft photo. 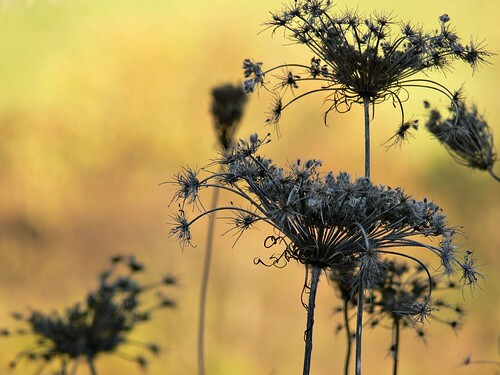 WW: Wonderful capture of the Queen Anne's Lace in its dormant condition. Thanks for your visit. i love the photograph. It is amazing how quickly the weathre can change! Fall has gone away here in Ohio too. Its only about 40 here and it flurried this morning mixed with rain and will again tonight.....too bad the warmer weather can't last longer sometimes! Beautiful shot!! Winter is definitely on its way. I'm not ready for winter either. It seems the leaves are rapidly dropping here, leaving naked trees in their place. the yellow tone really reflect autumn so much. Another amazing snaps! We must have the same weekends and the same freezing snowy temps on the way. Hmm. Kinda like a twilight zone, eh? LOL! What a good look this is. Unusual, too. I am so impressed! Love love love that photo! Most excellent! Wow, I love the coolness of the flowers against that fiery background is striking! Good luck at the dentist! & I'll post our Christmas photo in December... the kids were crazy when we had our family photoshoot... CRAZY! This is truly a beautiful shot. The flowers look almost as if they're wrinkled with time, age and wisdom, and I love how you captured the blurred, honey colored background. Beautiful image. Love the color and delicate details. Thanks for your sharing your natural vision at SS. You captured Queen Anne's Lace like I've never seen it before. Definitely offer this one at your gallery! It's so beautiful. I love this photo....you never cease to amaze me the things you see beauty in. oh my gosh ... this is so beautiful :) i am so not ready for snow!! so nice to meet you ~ thanks for commenting on my blog and allowing me to find you! !